Oxo Candela Tooli night light. The most beautiful and most practical night light ever created. 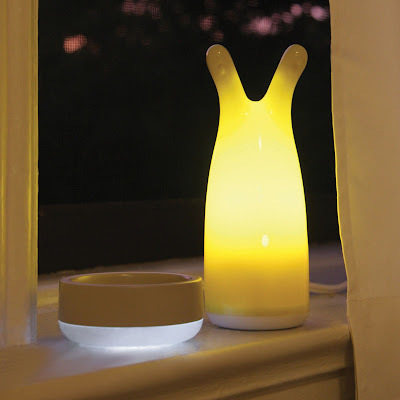 The Oxo Candela Tooli is a great bedside companion to ward off the darkness. LED lights provide eight hours of soothing light, plenty of time to send restless little ones off to dreamland. Tooli lights up automatically when lifted from the charging base or if there is a power outage. Place Tooli on the patented Safe-Charge base and it automatically recharges for the next use. The charging base doubles as an optional nightlight that can be left on even when Tooli is charging. Available in Yellow.